One of the oldest cocktails that, due to childhood memories (of observing, not drinking!) always says “holiday” to me is the Old Fashioned. My grandfather would make them at every holiday gathering for Dad, Mom, and the aunts and uncles. This very flexible beauty can be mixed with almost any brown liquor, it just needs liquor, bitters, sweet (usually sugar or simple syrup), and ice. Best of all, the liquor can be Rye, Bourbon, Brandy, or even Rum. One American classic certain to go well with ham is the Manhattan; this one just tastes good with almost any food. Like most classics, the recipe is simplicity itself: Bourbon or Rye (lately I’ve been leaning toward Rye, especially now that Bulleit Rye® is available in Utah) and bitters. Oh, and don’t forget a cocktail cherry. If your taste leans more toward Scotch Whisky, you might want to try a Bobby Burns. This easy recipe with Scotch, Italian Vermouth, and Benedictine is sure to please. The crisp, dry taste of a Martini goes well with almost any meal. Lately I’ve been using Plymouth® Gin, a brand name for a distinct type of Gin that legend says was used in the first Martini cocktail. It’s the Gin that Dale DeGroff used when he made me a Martini at Portland Cocktail Week. Always have the fixings for a Martini in reserve “just in case”. Pairing cocktails with a meal can have one danger: overconsumption. 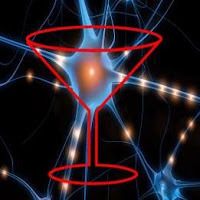 While a cocktail has about the same amount of alcohol as a glass of wine, some have more and, in any case, the alcohol in cocktails tends to be more concentrated. Consider serving cocktails on the rocks rather than up, or serve tall drinks like the Tom Collins. Ensure that everyone has a glass of water available at their seat. Most of all: know when to stop drinking or serving. Always drink responsibly, and enjoy your holiday.